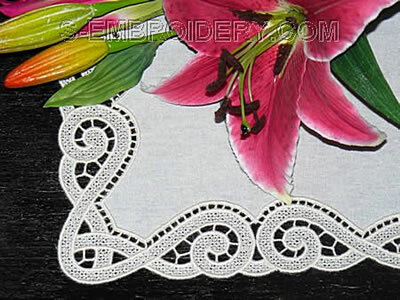 A set of 4 freestanding lace border embroidery designs. The designs can be used in 2 different combinations. Use lace border design #2 with the FS lace corner design to create a rectangular freestanding lace doily, table runner or table cloth with a size of your choice. 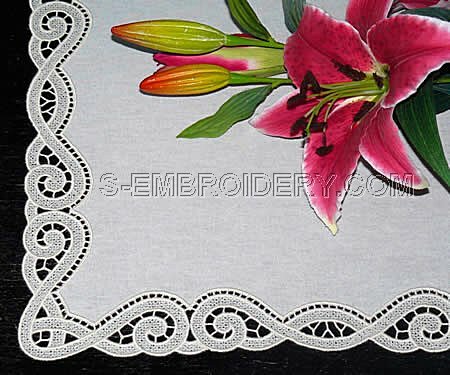 Using lace border designs #1, 2 and 3 you will get a 5 cm (2 inches) wide lace edging. 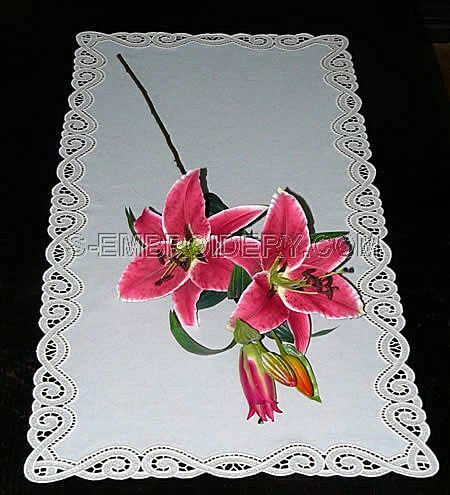 The set of 4 machine embroidery files comes with instructions for creating a table runner.